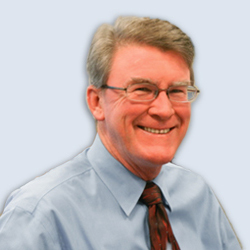 With more than 35 years of healthcare industry consulting experience, Scott Hodson specializes in Quality Management, Strategy, Clinical Process Improvement, and patient throughput optimization with an emphasis on implementation. Scott has assisted a wide variety of health care organizations (hospitals, academic medical centers, IDNs, colleges of medicine) to develop and implement innovative solutions to achieve breakthrough improvement in the quality of care and financial performance. His Quality Management expertise is supplemented by a broad base of strategic planning, process/operations design, and financial experience. Scott spent 16 years at Deloitte Consulting, and as a Partner, was co – leader of the firm’s health care industry Performance Excellence and Reengineering practice. In addition to his consulting experience, he has served as VP Operations for a major academic medical organization.